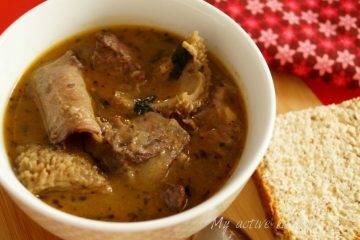 What can I say about this beautiful, delicious and hearty soup other than, if you have not had it before, you should try and cook it. 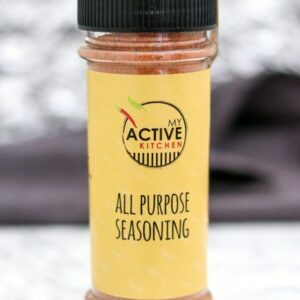 It is rich and packed with all the nutrients you need. 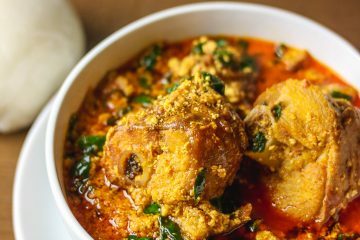 If you are on a diet and you are not sure if you can have some Nigerian soups because of the oil content and all, then this soup is for you. 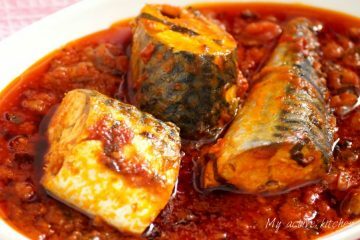 Some few weeks ago, one of my instagram buddies posted catfish pepper soup and tagged me. Her picture got me drooling and craving. I told her I was going to make mine….. 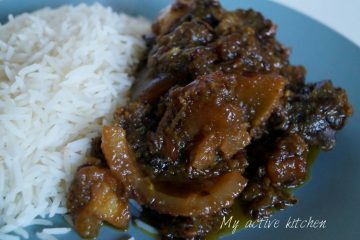 Anyway, long story short, I made catfish pepper soup that night under the pretence that it would help my cold at the time. 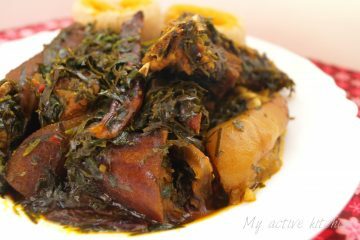 The Yoruba’s have a saying that “obe ti baale ile kii nje, iyawo ile o gbodo se” meaning “a wife does not prepare a delicacy her husband does not want or eat”. Well I beg to disagree, hahaha with the hope that my ancestors wouldn’t mind. 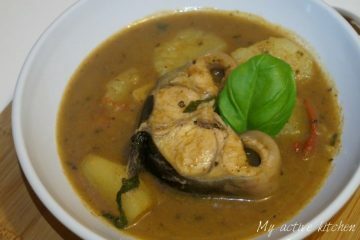 Ayamase also called designer stew is the ‘fraternal twin’ of the ofada stew I recently made. 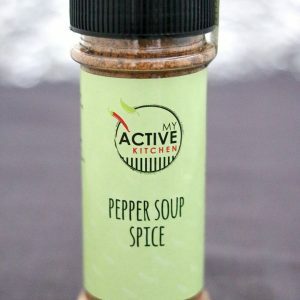 The same ingredients are used except for tomatoes and instead of using the red bell pepper; you use the green bell pepper. 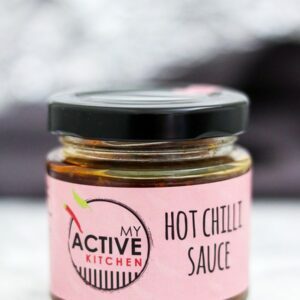 You can use variety of green peppers and chillies you want. Ayamase requires a lot of patience when cooking and in my opinion it tastes a lot better when left to rest for some few minutes or hours before serving. 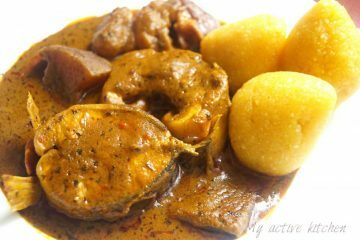 Gone are the days when we slap Nigerian food on the plate. 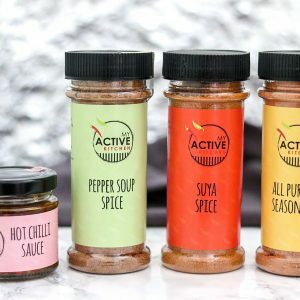 This current day, our soup staples (morsel types) are presented in an appealing and appetising ways. 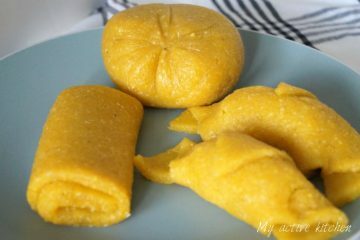 I posted Ofe Onugbu on Facebook recently and I had a request on how to make Eba roll, I know this post (eba roll) is available on some other food blogs but hey it is rather late here than never. The Okazi leaf is mostly used in the eastern part of Nigeria. 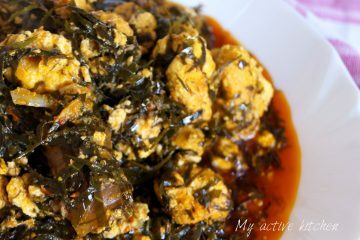 I recently had a request for lumpy egusi on my blog although, I have other types of egusi soup (melon seed) cooked with uwgu but I thought it’s high time I made another type of egusi and since some of my readers are now requesting for it. 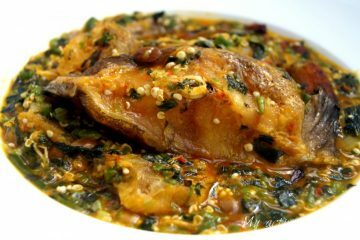 I enjoy egusi soup in any form it comes. 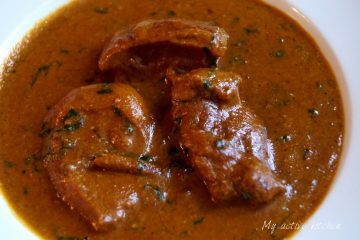 The first time I ever tasted Banga soup was with my dad in Lagos. We were at this restaurant and he ordered Banga soup. I started interrogating him immediately, what is Banga soup? What is it made of etc? My dad just told me, ‘IYA’, calm down, you will see it when they serve us! When they served him his soup, it was in a clay pot. You need to see the look on my face that day. What!!! Welcome and thanks for visiting my food blog. Feel free to browse through, you are guaranteed nothing here but yummy experience.